You may be a beginner, or on your way to that Zen-like state of mind, you could even just be a bystander curiously watching from a safe distance, we’re positive you’ll agree too. You’ve already seen the scientific proof. You’ve read the countless success stories, and there’s a very good chance your family or a friend already uses meditation to relax, relieve stress, feel more focused. Read on and see for youself. 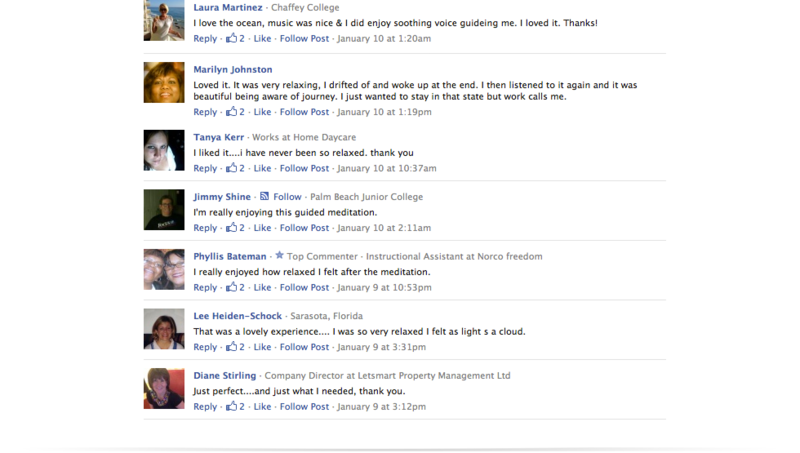 Silent Journey is getting a lot of POSITIVE feed back on Facebook! We’d love to hear what you thought of the experience you just had.